It’s time for healthy snacks for toddlers! Snacks that make your toddler’s eyes perk up; maybe even get him to jump up and down—but also work when they’re inside him, making him feel better and stronger and healthier than anything. What foods do not qualify as healthy snacks? Processed, sugary, or salty foods are fine for a treat but no good for every day. Don’t be fooled by the advertising on the packages ‘Contains ten different vitamins and minerals!’ ‘A full dose of vitamin C in every serving!’ “High in folic acid!’. These ‘nutritious vitamins’ are usually in the form of a vitamin powder added to the unhealthy snack, and are often in a form difficult for your child’s body to digest. Your child needs to get these vitamins and minerals in natural forms available through natural, unprocessed foods. If you are worried you are not able to buy enough healthy food for your toddler so he gets his nutrients naturally, you can always buy him multivitamin tablets, which don’t have all the junk in it those processed snack foods do. …real, whole foods which have been processed only minimally. This doesn’t mean they taste bad! The reason factories have to add all kinds of artificial flavors to their foods is because they’ve processed out all the natural zing and flavor. Unprocessed foods have nuances of flavors you’d never know if you only ate the kind of food that comes in vacuum packs. Any of these ingredients can be used singly, or they can be mixed and matched for healthy snacks for kids! You can see our toddler snacks page for more healthy snack ideas. Here we’re going to look at some of these areas in more depth. Dairy options for healthy toddler snacks include whole milk, yogurt and cheese. Don’t buy fat free varieties of any of these products; your child needs the calories from the fat. Natural whole-milk Greek yogurt is much better than flavored varieties. 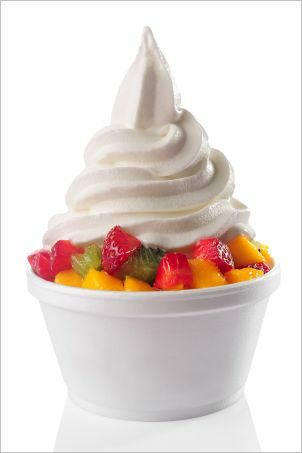 Yogurt billed as ‘fruit yogurt’ looks good on the surface; aren’t you getting two food groups covered? But the fruit is usually just a big spoonful of processed sugary jam; not something your toddler needs. If you’d like to give your child fruit yogurt, blend up some fresh fruit with a cupful of Greek yogurt for a tasty snack. Cottage cheese is a very toddler-friendly dairy product, and your little one may enjoy it as one of the first foods he can eat by himself with a spoon. Fruit and vegetables are stock full of vitamins. All fruits can be given raw, and many toddlers love raw vegetables as well—baby carrots, broccoli florets, celery sticks, or whole cucumbers. For younger toddlers, or toddlers who don’t like the texture of raw vegetables, you can lightly steam vegetables over hot water for five minutes or so. Turnip and radish are good steamed, and corn on the cob, boiled in slightly salted water, is another wonderful toddler snack. Healthy grain based snacks include cheerios (not frosted), whole-wheat toast, or whole wheat bread sticks. Graham crackers are fine for a treat, but a little sweet for every day. Some toddlers also love wheat thins, but check the nutritional information to see how much fat it contains. 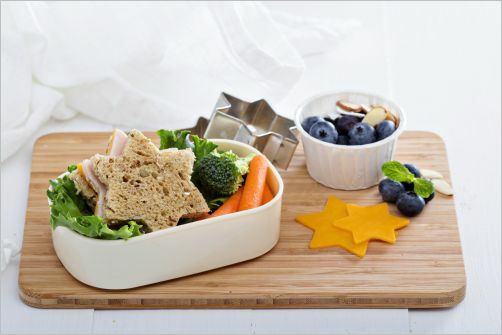 For toddlers, presentation is everything, and you can make fun cut-out sandwiches in animal shapes with cottage cheese, cream cheese, or peanut butter. As you can see, making healthy toddler snacks is not as complicated as it looks at first glance. Keep your fridge stocked with fruits, vegetables, and dairy products, have a loaf of whole grain bread or a box of cheerios in the cupboard, and you’re pretty much set; ready to make a wide variety of healthy snacks for toddlers at a moment’s notice.